Protecting your eyes in front of the computer, or when you are crafting, reading, or are involved in the project that required good eye attention – this smart BenQ Genie LED lamp comes to your rescue! Designed to specifically help us with our computer work, it can be used for other tasks that call for eye tension and attention! Check out this lamp on Celebrate Woman's review here. Check out the features of this smart BenQ Genie Lamp! We would love to bless you with this gift of light to use all-year-round. Enter to win it! I don't know about y'all, but I hate having laundry duty. I know it seems like an easy task...I mean all you have to do is add the clothes to the washer, wait a bit then throw them in the dryer right? Wrong! If you're like me, you don't just throw everything together. You want to be organized into piles of jeans, colors, whites etc. It's a long daunting process of separating, washing, drying, folding and putting away. SONGMICS made separating and folding a whole lot easier for our family with this amazing 4-bag rolling laundry cart. We are able to throw jeans in one bag, colors in another....it really takes the step of separating everything out of the laundry equation and saves a lot of time and energy while doing laundry. (I also made a new rule that if they didn't want to separate their clothes and leave them on the floor...they wouldn't get washed) 😋 I know I'm terrible. So let's talk about the laundry cart! It was super easy to put together and had everything included in one box. No need for extra tools. It took me about 10 minutes to get it put together and it was ready to use. The bags fit perfectly into the middle of the cart and come out so that you can empty them into the washer or take it with you to put clothes away once finished. The bags are large enough to fit about a load and a half, depending on the type of laundry that's in it. It has 4 rollers on the bottom....(this feature is amazing)...so that you can take it anywhere you need it without any struggle or strain on your body. The cart is extremely sturdy and handles very nicely. It rolls with virtually no effort and has made doing laundry a breeze. I am completely happy and my life is a little easier when it comes to doing laundry. 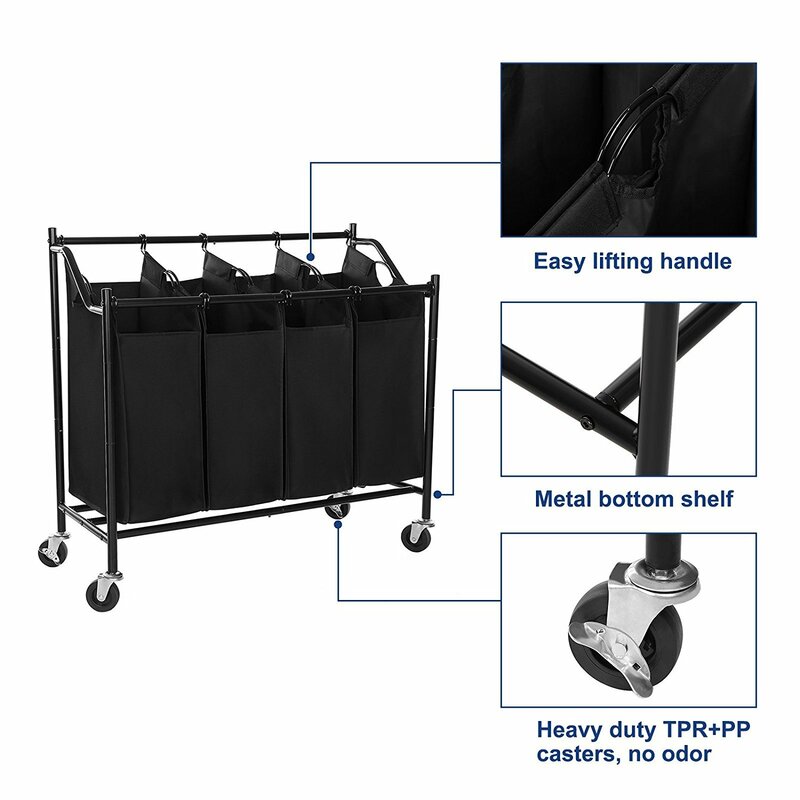 The laundry struggle is real, so make it easier with the SONGMICS Heavy Duty 4-Bag Rolling Sorter Storage Cart! To learn more about the product and purchase click HERE. 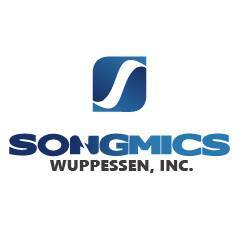 Thank you SONGMICS for making my laundry tasks so much easier! I am always on the search for something unique and special to give someone as a gift. 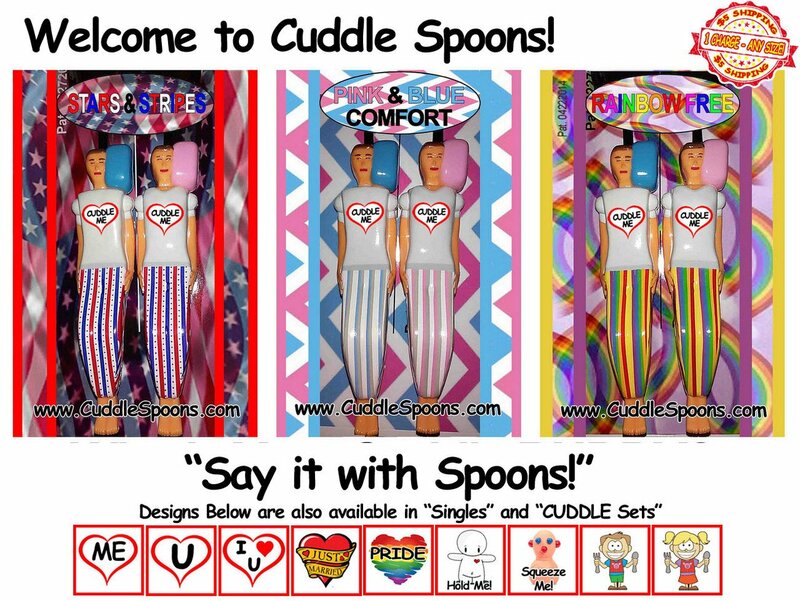 So when I was asked to check out Cuddle Spoons I was excited! Not only are they Unique but they have a purpose as well. The "bed" they are tucked away in also has a place where you can add your names and date given for the perfect memory that will last a lifetime. 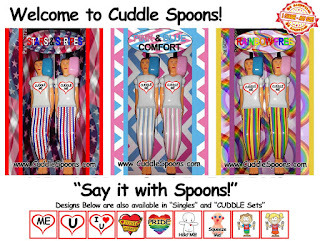 Cuddle Spoons come in a variety of designs and are available for couples and single alike. 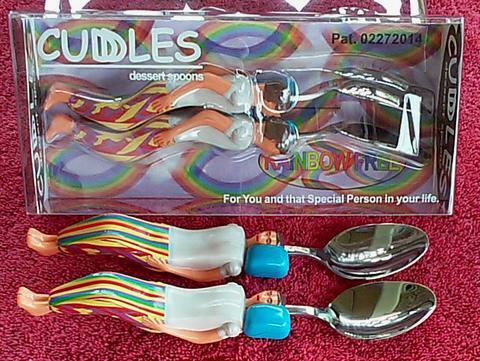 They can be personalized with your favorite sticker, given as a gift or keep it just for yourself. 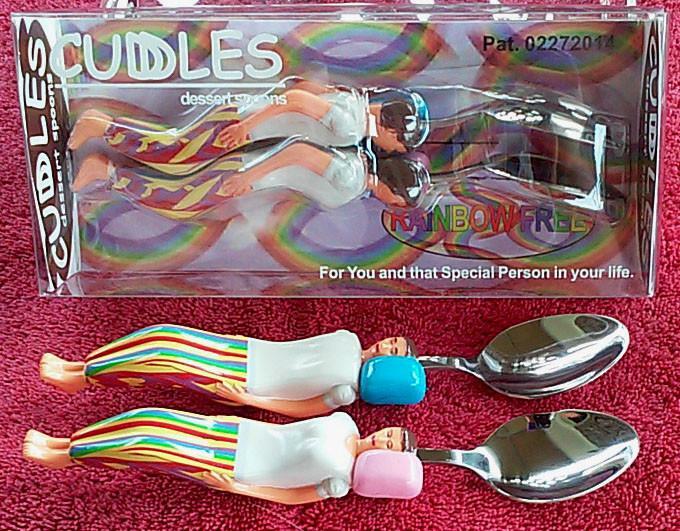 I love the diversity of the spoons as well. Most would only have a traditional couple available but Kenneth Vantroba had everyone in mind when making the design of the spoons. There are traditional couples as well as male/male and female/female couples available. I personally, have a few amazing friends that this would be perfect for! Single? Yes he has those available too! 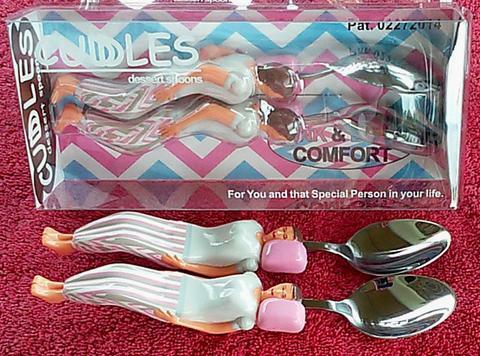 These are a great gift and would make the perfect stocking stuffer for friends, family, children and the elderly. The pricing is fantastic and you get to help the wonderful man who made them! Let me tell you his story! 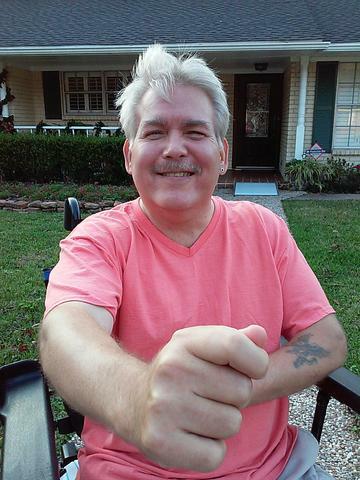 Kenneth Vantroba was born in Illinois and transplanted himself to Texas in a place called Baytown. Just a few miles from Houston TX. 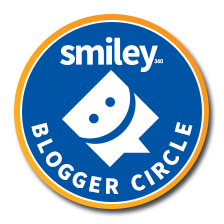 This is a sponsored conversation written by me on behalf of Trend Micro. The opinions and text are all my own. 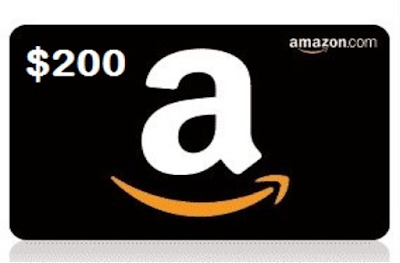 Welcome to the Trends Micro $200 Amazon gift card Giveaway! This giveaway will run through 09/18/2017 at 5:00 pm EST and is open to residents of the US & Canada ages 18+. You are not eligible if you have won a prize from the sponsor in the last 90 days. 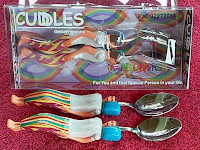 The winner is subject to eligibility verification and will have 24 hours to confirm before a new winner will be drawn. For any questions or concerns about this giveaway please email wrappedupnu@gmail.com (please consider adding this email to your “Safe List” as the winning email notification will be sent from this email). Are You First Day Ready? There is no mistaking that if your kids aren’t headed back to school now, they will be soon – the stores are filled with supplies and sales and ads for back-to-school. The beginning of a new school year can be an especially challenging time for parents and children both, although for totally different reasons. For parents, making sure that kids are equipped with the supplies and everything they need to get organized and have a good year is usually the first challenge. Then meeting the teachers, checking out the classrooms, and assessing the curriculum for the year is next on the list. In our family, getting school supplies and new uniforms can be exciting and fun, but also builds anticipation for that first day back. We can't wait to meet the new teachers and what classes my son will be taking. He's more excited about seeing his friends again! For kids, the stress of the new school year can be a little different than what we experience as parents. Did you know that one in five children in the U.S. have learning and attention issues, like ADHD and dyslexia? Children with these types of challenges – many of whom have never been formally diagnosed – can feel especially stressed during the back-to-school season as they face new subjects, teachers, and schools. These back-to-school tips from the Understood.org website are an invaluable resource for getting on track and starting the year off on the right foot. They helped my family; hopefully, they can help yours too. Planning early is important to help relieve stress. 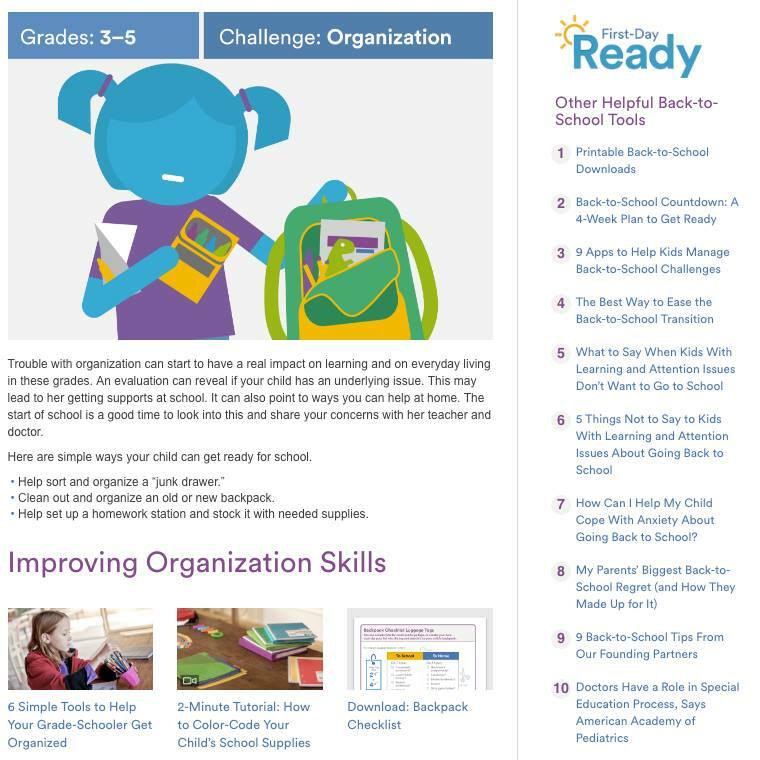 Creating structure and routine around the start of the new school year—with checklists, calendars, and other organization systems— helps prepare kids for class expectations. I felt like the Backpack Checklist, and sample Homework Contract were the most helpful. My son has always been terrible at telling about his homework so the Contract will definitely come in handy. 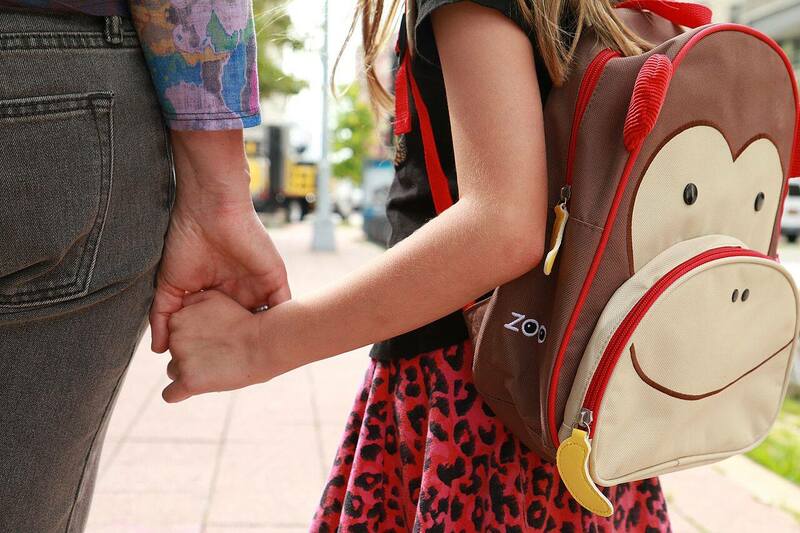 Also, making sure he has everything in his back pack ready for that first day is essential! He can't succeed if he doesn't have the tools needed to do the work. SONGMICS Heavy-Duty 4-Bag Rolling Laundry Sorter Storage Cart Giveaway! 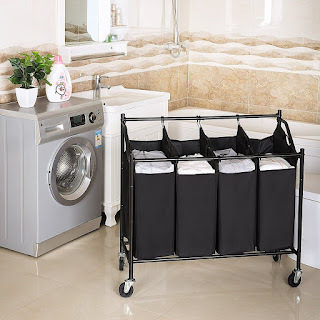 You can either roll this laundry sorter or just lift the bag up separately. Imagine there're bulky dirty clothes, you can just throw them into the bags and roll to the laundry room instead of holding them to do washing, isn't it energy saving? This content is for those 21 and over. Who doesn't love a great festival? Especially one with beer tasting! Enter for your chance to win free tickets to the BrewHaHa in Galveston Island Texas! Galveston Island's Moody Gardens is home to a number of fun filled events throughout the year. We have been there in the spring to enjoy the Gardens, in the summer to enjoy the beach and in the winter to enjoy the holiday lights display. But this year we have a whole new reason to head to Galveston Island and Moody Gardens and that is to attend the USA Today no. 3 ranked Brewmasters Craft Beer Festival! Here's just a few of the participating breweries at the Brewmasters Craft Beer Festival: 8th Wonder, Ace Premium Cider, Boulevard Brewing, Buffalo Bayou, Deep Ellum Brewing, Franconia, Karbach, New Belgium, Shiner, Saint Arnold, Under the Radar, and Victory Brewing. Get a complete list here to find out about all the breweries available to taste from. But the Brewmasters Craft Beer Festival isn't ONLY about beer! There are any number of amazing and fun opportunities to enjoy. Check out the seminars, workshops, cooking demos, participating restaurants, bands, brews, tastings, tours, tequila and so much more. Nach- Yo Ordinary Tequila Tasting presented by Xochitl– Haven’t you always wanted to know more about tequila and agave? This event helps you get in closer touch with the wondrous plant and the adult beverage that has thrilled humans for centuries. Not only do you get to learn about and sample tequila, you even get to pair it with unconventional foods, namely cheese. Brewmasters Friday Night Pub Crawl - Galveston isn’t just a place where cruise ships embark to the Gulf of Mexico and Caribbean. Galveston is also home to several highly memorable watering holes and this pub crawl will take you to several of them by bus. Texas Brewery Tasting Tour– A meet and greet of sorts, the Texas Brewery Tasting Tour showcases some of Texas’ finest up-and-coming breweries, complete with samples and an opportunity to meet the men and women behind the recipes. BrewHaHa Grand Tasting– This is the definitive event at the Brewmasters Craft Beer Festival. Hundreds of beers will be flowing, some of which are unique to the festival and cannot be found elsewhere. was eventually recruited by celebrity chef, Wolfgang Puck. After spending years on the road in various restaurants, he developed an affinity and love for Texas BBQ and has created his own unique brand found exclusively at Harlem Road Texas BBQ. Don't miss out on the final day of the Brewmasters Craft Beer Festival and bring along the kiddos for a barbecue Texas style, complete with live tunes and a chance to meet others as the festival winds down. The best part of this weekend festival is that you tailor your experiences based on your tastes - no not just your taste for beer. There are so many different things to enjoy that one even may not be enough. Visit the schedule and then get your tickets for one or more of these fabulous fun filled events! Want to attend the Brewmasters Festival BrewHaha? Here's your chance to win tickets! 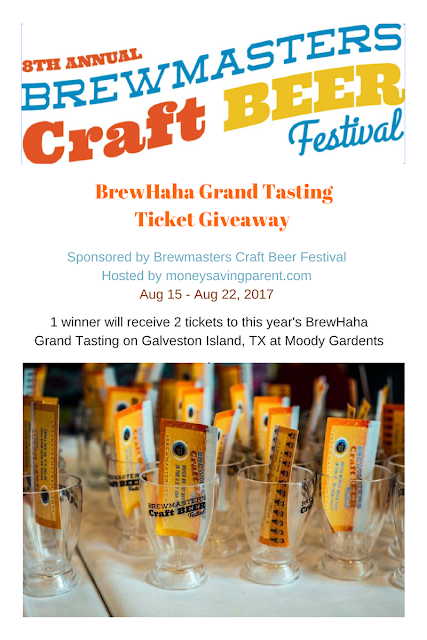 1 winner will receive 2 tickets to this year's BrewHaha Grand Tasting. Each ticket is redeemable for entry to the event and a tasting card for 24 - 1oz samples. Travel not included. Please drink responsibly. Must be 21+, valid US Address (no PO Boxes please). Ticket prize does not include transportation or travel to or from the event. MoneySavingParent is not responsible for prize fulfillment and all other terms and conditions as stated on the Giveaway Tools form below. We have been talking about a spending freeze at our home for about a month now. I personally heard and read about a spending freeze from a fellow blogger and decided I would talk to the family about it. We all agreed that it was a great idea. So what exactly are we doing a spending freeze for? We have children and grand children who live in Kentucky and every year we take a trip out there for a week to visit and help the kids with things they might need. Of course, it's that time of year when they are getting ready to go back to school. My oldest has 4....yes I said 4 lol children to purchase supplies for. So MeMaw and Grampa, of course, wants to help spoil the little ones. School supplies plus some 😄We are hoping to save around $400 for the trip! I'll let you know by the end of my babbling haha if we actually saved our goal amount. A spending freeze is a commitment you make to not spend money on frivolous items such as soda, lip gloss, that new blouse at your favorite store that's on sale. I know I know...it's on sale but you have to commit to say no. You would, of course, still pay the normal bills and if there was a medical or mechanical emergency then that would also be included as a necessity. Anything you can cut out of the budget that isn't necessary to survive. 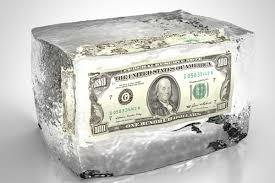 What are the benefits of a spending freeze? When was the last time your family took a vacation together? Are you wanting to have a little nest egg for later but don't think you can afford to put any money up in savings? The biggest benefit to a spending freeze is well.....saving money! How many times do you take your family out to eat every month? Maybe you stop by McDonald's for a $1 item every morning on the way to work. You think, "It's just a dollar" but add it up. if you go every day for a year that over $365 give or take the tax, that you are spending. Seems like a lot now doesn't it? What are some rules to a spending freeze? Make a plan! What is it that you want to save this money for. Sit down with the family and communicate. How long do you want the freeze to last? who is in charge of what. You all have to commit and work as a team. Do not spend money on anything except for the agreed upon items. Our family estimated what we would need and set aside petty cash for those items, then we handed our debit and credit cards over to a person we deemed to have that responsibility. That way none of us were tempted. Sounds kind of crazy but if you knew our family you would understand. Don't go out right before and splurge on unnecessary items. That completely defeats the purpose. Our family prepped by going through the pantry and the freezer wrote everything down and made a meal plan for the 2 week period. For the things we felt we would run out of, we made a separate list, estimated the cost and left that amount out in petty cash. A freeze typically will last 2 weeks but for those brave enough have gone an entire month without spending. If this is your first attempt at a spending freeze, I recommend the 2 weeks. This WILL be a hard task for everyone involved. The first time is always the most stressful. What if you run out of napkins or your favorite store is running a great sale. Just remember your commitment. There will always be another sale and you can use a hand towel or cloth napkin. We make it more stressful than it has to be due to our own "Gotta have it" habit. Instead, think "Do I honestly REALLY need it and what can I use as a substitute. How often should you do a spending freeze? From what I've read, typically most people do it twice a year but can be done more often if you choose. Some do it as often as every 3-4 months. A family, depending on size, can save around $300-$400 in a two week period. It all depends on the rules you set and what your spending habits were before your freeze. All in all, It's really up to you, your family and willpower to stick with it. Set your goal, make rules, stick with them and have fun with it! We learned a lot, had a few arguments :( but in the end, we all agreed that the spending freeze was totally worth it and we were able to save for our trip to Kentucky as planned! So we will be on our way to see our wonderful children and spoil our amazing grand kids very soon!! I can't wait to see them and to schedule our next spending freeze. Maybe we will be brave enough to try the month long one!! I don't know about you but I love Football Season! 🏉GO SEAHAWKS🏉 And who doesn't love to watch Football on a huge T.V.? I myself cannot afford to purchase a huge T.V. to accommodate my guests so I got something even better! We were both impressed with the way it was packaged. Everything we needed was all included and very well protected. I have never used a projector before and was a little skeptical of how it would work. I just didn't think the picture would look very good and the sound would be more of an alarm clock radio sound. I was blown away with the quality of the projector. Totally not what I was expecting. I never want a regular T.V. again! The picture is very crisp and clear while using it to watch T.V. The sound, however, was a bit more complicated. First, we hooked up the HDMI cable. The picture was fantastic but we couldn't get the sound to work with this connection. So we tried the AV cable and everything worked perfectly. The sound was great and not muffled like I had originally expected. Adding an external speaker would make for better sound but really isn't needed unless you are outdoors. I love how it has the different hookups so you have a variety of ways to use it. You can hook it up to the computer with the VGA for the computer for movie night. This gives you the opportunity to watch with Netflix, Hulu, Amazon Prime Movies, or other streaming sites you might have. We also can hook up to our phones through the USB as well as our Fire Stick to also watch television programs or movies that might be on our data. The USB, as well as the SD, gives us the capability to share photos and home video! If you are wanting to watch without disturbing anyone, it includes an area for headphones. We went from a 42" television to a 72" 🎉🎉🎉 But the projector can go up to 170".....our wall just wasn't big enough Haha! We will be hooking it up outside very soon so that we can have a family movie night and even invite our neighbors over for a fun outdoor barbecue and movie in the yard before it gets cold out. So if you are looking for a very nice, affordable projector, then I would definitely recommend the DBPOWER Mini Projector. Not only do you get everything you would need in one package but you also get multi-function in one high-quality product that doesn't take up a lot of room! I don't know about y'all, but I love getting a good deal and saving money while shopping. I use coupons and search for the best deals in the ads from my newspaper. So why not have help finding great deals online as well? If you shop on Amazon, then Vipon is a great way to save money! So what exactly is Vipon? It's a way for shoppers to get a great deal on products they love and shoppers get to support small businesses in the process. It's a win win for both sides. So what kind of deals can I get and what kind of products are offered? Vipon is an online shopping platform where you can get awesome new products for your home, outdoors, kitchen, beauty, clothing, pets, baby, kids, electronics, tech and more at 50% to 100% off. Yes, even free! So here are a few items that you can get from Vipon! Looking for a new coffee cup that perfectly fits your personality? Vipon has it, and for a great price! I love browsing for great deals on Vipon and saving money using my prime for free 2-day shipping! Signing up for Vipon is free so what are you waiting for? Start saving money on stuff you already buy and help out a small business in the process!! There is so much to choose from that I'm sure you will find something that you love!